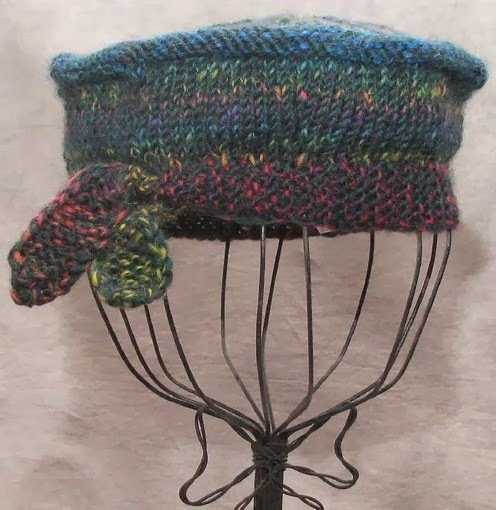 Recently, I had a question from a reader regarding the storage of hand knit hats. I find that berets and tams can be stored flat. You can stack them one on top of the other and they are ready to be worn with no other action. Toques and skull cap type styles use the wearers head for shaping. They can also be stored flat, however if they are not worn regularly they may develop a fold line. A light steaming with an iron (don't touch the iron to the knitting) will elimate the fold mark in most cases. If the yarn fibre or the length of time between wearings makes the fold more persistent you can wash the hat and dry it slipping it over a bowl to eliminate the fold. 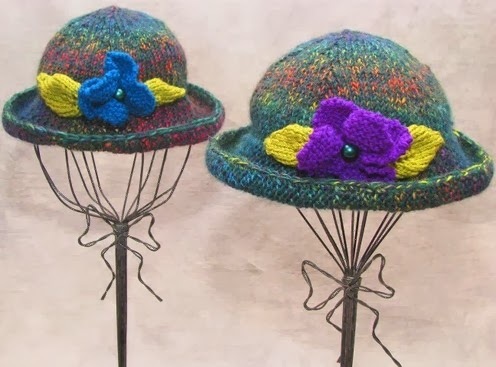 The hats in the photos I've included don't lay flat and don't use the wearer's head for their shaping. 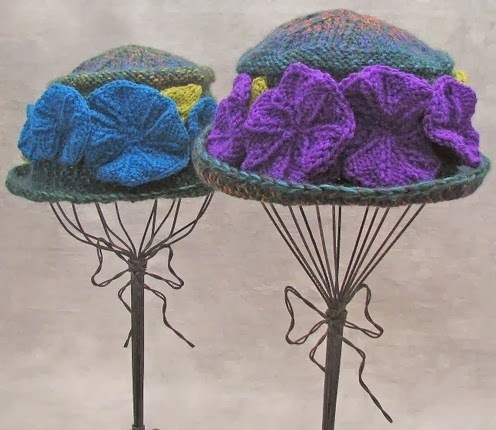 I store these hats with tissue paper inside to keep their shape. If they are accidentally crushed I put them on a hat block and steam to freshen up the shape. I wait until they are cool before removing them from the block. You can use a bowl or an upside down flower vase of a size close to the head circumference to substitute for a hat block.